Making Tax Digital - The Taxman cometh… 4 times a year! Make no mistake, MTD will become a reality and on the face of it, it may sound like an accident waiting to happen. Most sole traders and freelancers struggle every year to get their bags of receipts and hastily typed up (or even written) list of invoices to their accountant – often a couple of weeks before the submission deadline! But in actual fact, it could be the saviour of your business! MTD will mean you’ll have to keep up to date with your income and expense reporting rather than leaving it to the end of the year. Network Freelance has teamed up with 1Tap – a simple but powerful new mobile app that will take all the stress away! Just photograph your receipts and throw the originals away. 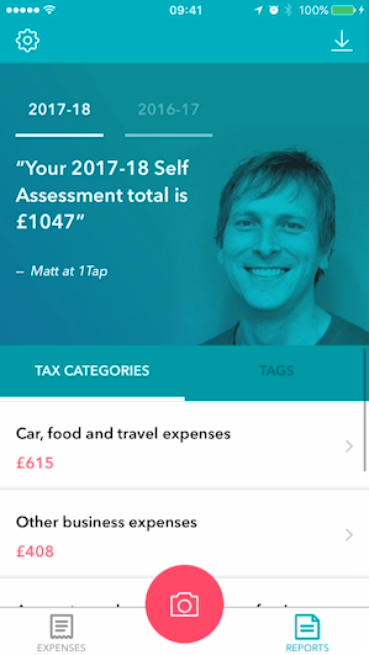 1Tap magically extracts the data from all your photographed receipts, fills your in self assessment form and stores the photos in the cloud to keep you on the right side of HMRC without you lifting a finger! No more storing bags of fading receipts and you can share the details with your accountant so they can make sure you are saving as much tax as possible! How will using 1Tap benefit me? 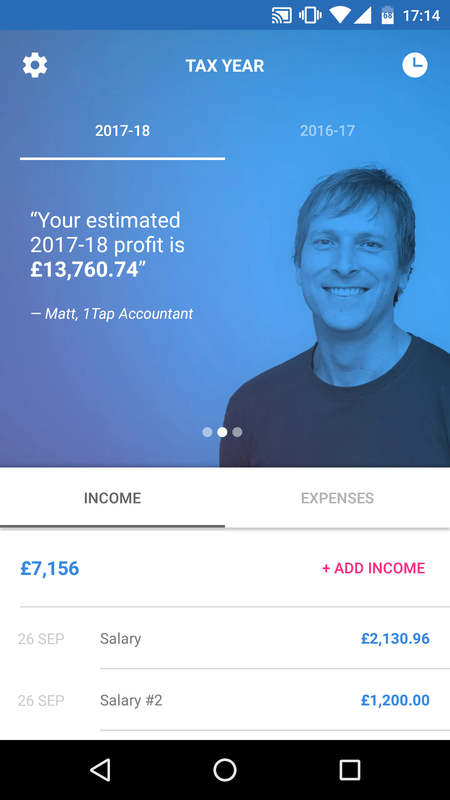 By using 1Tap you will benefit from a live view of your finances which not only helps you to make more informed business decisions, but should give you a better chance of obtaining credit for business purchases and even mortgages because lenders will have much clearer data on which to make decisions. On top of this, most sole traders and freelancers don’t claim anywhere near enough of their legitimate expenses. In fact, three in five admit they can’t be bothered to mess around claiming low value receipts. This is a huge mistake as around 60% of expenses are under £20! And all those small claims will add up. Did you realise you can claim up to 20p or more in every £1 you earn back against your tax bill through claiming properly?! Have you heard about the HMRC £104 no-quibble deduction? No? Well, if you use your home in a minimal way to conduct your extra business, such as writing up your business records, HMRC will accept a £2 per week office deduction. Download the 1Tap app now HERE and photograph the image below to record that deduction right now! Network Freelance is committed to supporting hard working freelancers and sole traders, so for the next 5 days if you sign up for 1Tap via our LINK you will get FREE access to premium features like unlimited uploads, 6 year doc storage and foreign currency conversion. Sweet enough? !